You might remember Wordle from middle school when you had a substitute teacher. Did you know that it can be a useful writing tool for college students as well? 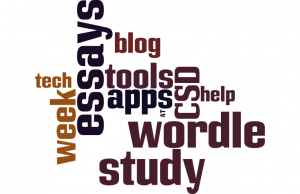 Wordle creates a word cloud of words based on how frequently they appear in block of text. 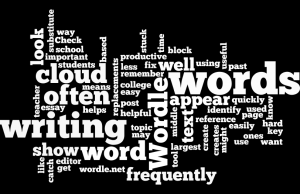 You can paste the text into the editor on the page and then create a word cloud with it. The largest words are the ones that appear the most often. The key topic that you’re writing about should show up often, as well as words like the or and. If less important words show up too often, that means that you’ve used them frequently and may want to look for replacements. This can be helpful for essay writing because it is easy to get stuck using the same words over and over. It can be hard to catch this in your own writing. Wordle helps you identify and fix this quickly and easily. 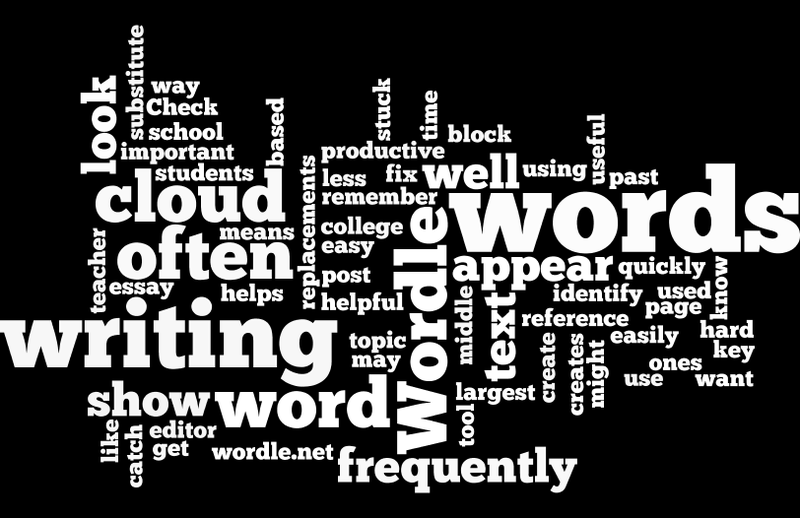 As you can see, words, writing, wordle, and often showed up most frequently. I would expect this since this is what I was writing about. If a word like “reference” had showed up large, I would have gone back and changed a few of its uses since that is not my key point. 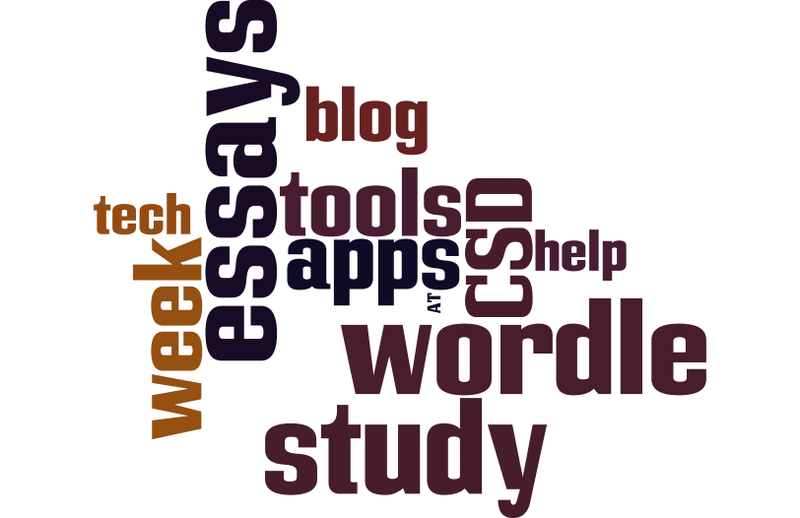 Check it out at wordle.net. This entry was posted in Tech Blog and tagged App of the Week, Assistive Technology, Computer, CSDTech, Editing, Website, Writing.